We are still in the era of #MeToo and #TimesUp when it comes to outing sexual harassment, assault and disparity in Hollywood and it too center stage again at the 24th Annual Screen Actors Guild Awards at The Shrine Auditorium on January 21, 2018 in Los Angeles, California. Our Bellyitch Bumpwatch alum Kristen Bell was the first host (of any gender) of the annual show. Also, women made all the presentations of awards during the event. Unlike during the Golden Globes, we saw a lot of color on the red carpet. Attendees showed their solidarity to the movements with lapel pins and speeches. 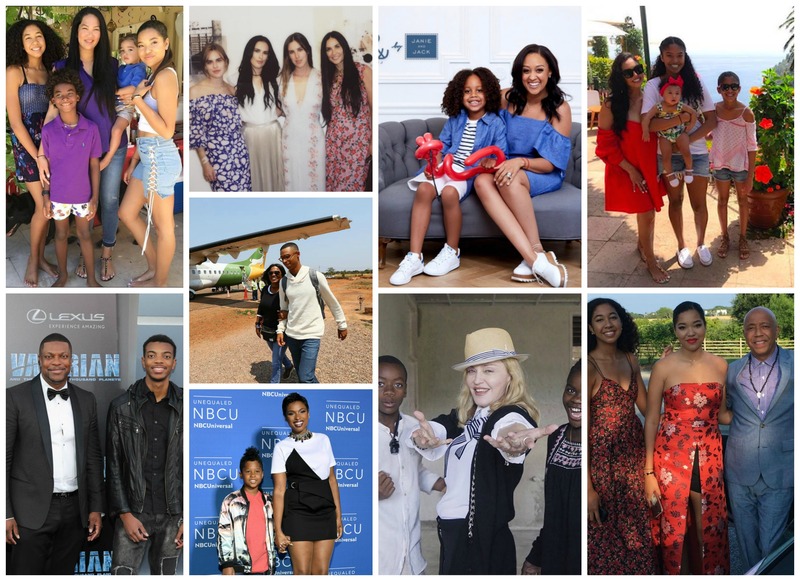 Along with Bell, other celeb moms featured on the blog attended including Kate Hudson, Halle Berry, Maya Rudolph, Giuliana Rancic, Nicole Kidman, Laura Linney, Reese Witherspoon and Allison Janney. The latter four were nominated for awards with Janney and Kidman walking away with the top honors for their respective categories. Ugly Betty alum America Ferrera is going to be a mom! The Sisterhood of the Traveling Pants alum made a New Year’s-themed baby announcement on Sunday, December 31 by posting a super cute photo of herself with her hubby, actor Ryan Piers Williams. Ferrera is part of a new movement announced on Monday which involves women of power and influence including Shonda Rhimes, our Bumpwatch alums Kerry Washington, her fellow first-time mom-to-be Eva Longoria; the lawyer Nina L. Shaw; the actress Reese Witherspoon; attorney Tina Tchen and more, pledging support to working-class women in an open letter signed by hundreds of women in show business, many of them A-listers. The letter also ran as a full-page ad in The New York Times, and in La Opinion, a Spanish-language newspaper. I just loved our Bellyitch Bumpwatch alums Reese Witherspoon and frequent feature Nicole Kidman in the HBO mini series Little Big Lies and so did these superfans who dressed as some of the characters in various scenes for Halloween. 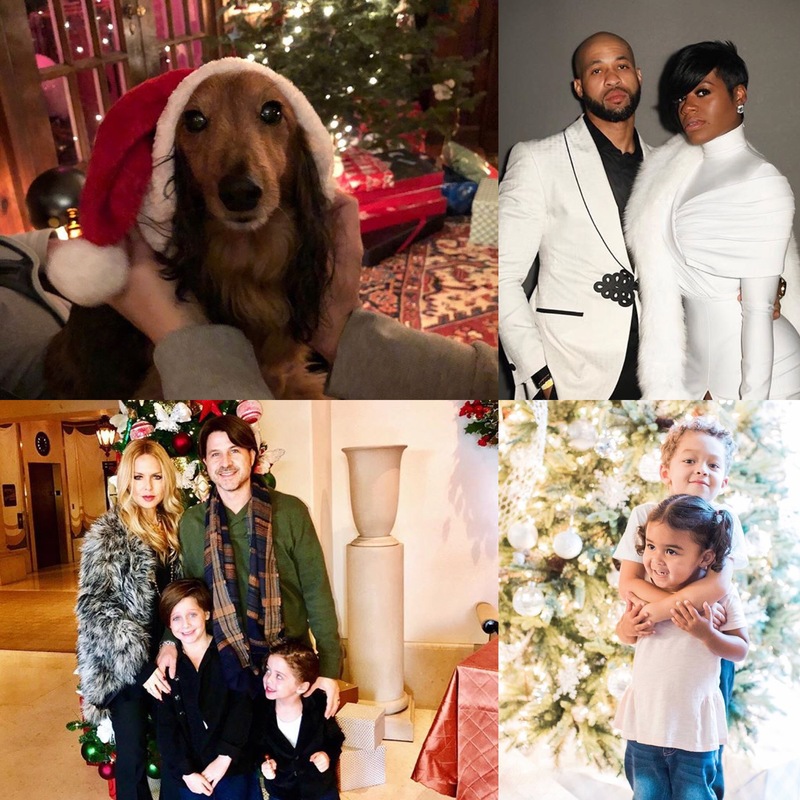 Witherspoon featured some of them on her Instagram this week! Guys I’m LOVING the Big Little Lies and Madeline costumes! So many good ones, it’s cracking me up!! Who else is going as the cast of #BigLittleLies? 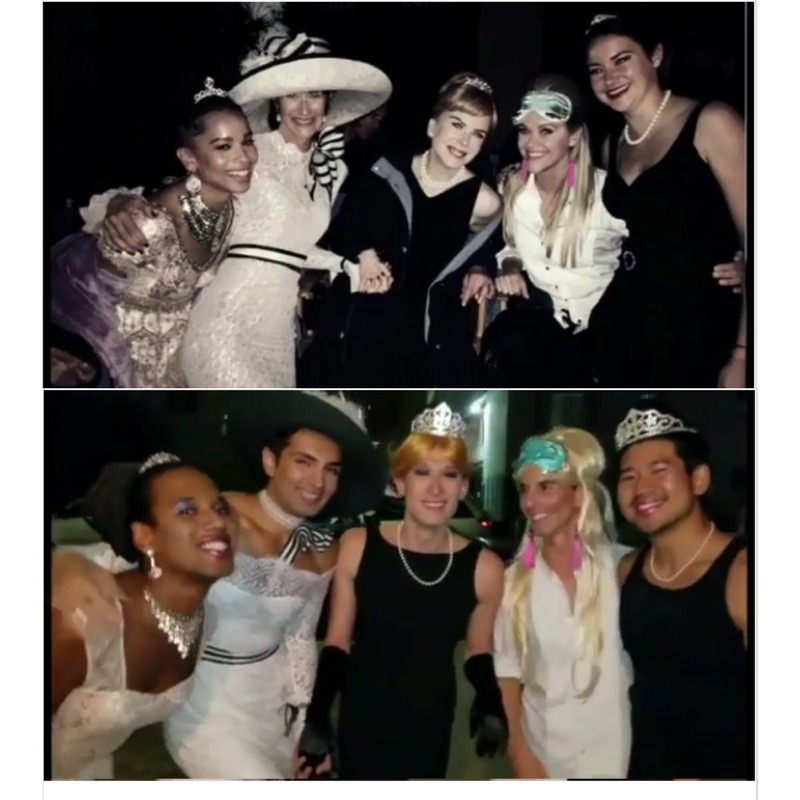 Keep tagging me and I’ll post up my faves after #Halloween! 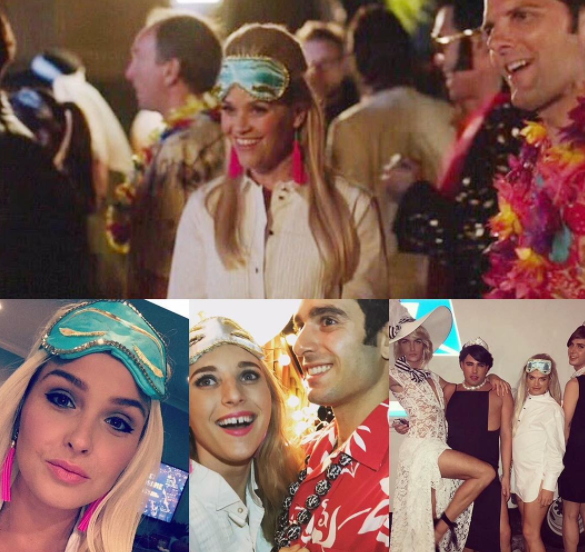 Yup, all of your #BigLittleLies costumes made my #Halloween!!! Some of my faves!???? We Can’t Believe How Big These Kids of Celebs Have Gotten! You know you’re getting older when you see some your kids’ friends on Facebook and social media celebrating a birthday and you think, “my where has the time gone?” or “boy have those kids gotten big! I think the same can be said of a few of the celeb parents we’ve followed when they first had children compared to now. 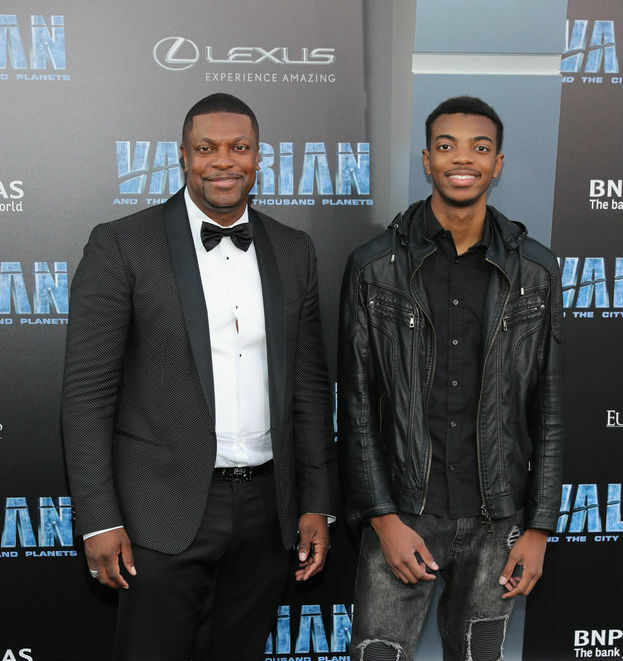 There’s Chris Tucker and his son Destin is 19 and is a spitting image of his famous comedian dad. 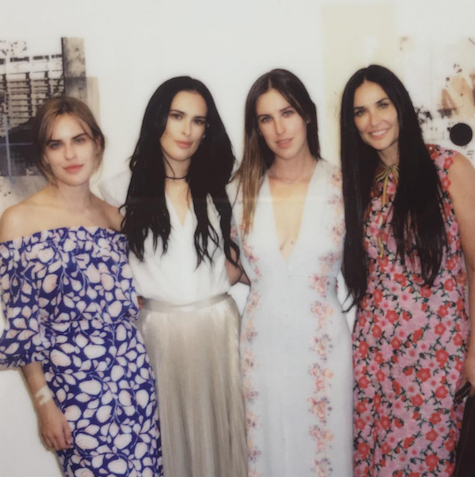 Demi Moore and her three daughters are are now 23 (Tallulah), 25 (Scout) and 28 (Rumer)! wow! 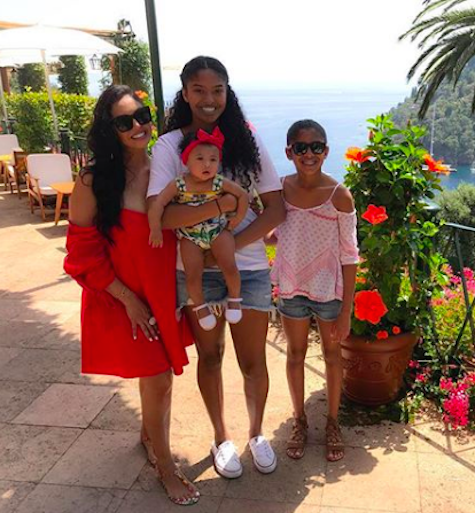 Kobi Bryant’s daughters are 14 (Natalia), 11, (Gianna) and 8 months (baby Bianka), seen with mom Vanessa. Madonna‘s son David is and daughter Mercy are both now 11-years old. 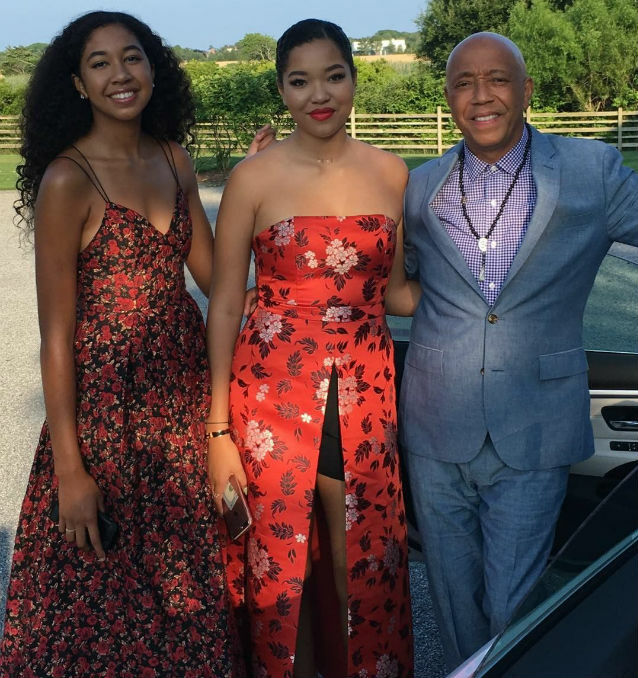 Mel B stepped out with her daughters 10-year old Angel and 5-year old Madison earlier in the Spring and I didn’t realize they had grown so much. Kelly Ripa has a 19-year old!! 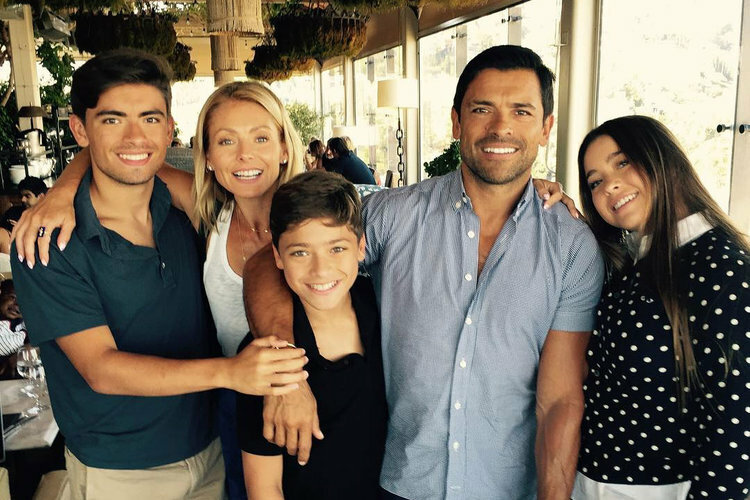 Her son Michaeal and also a 15-year-old daughter Lola, and 13-year-old son Joaquin with hubby Mark Consuelos. 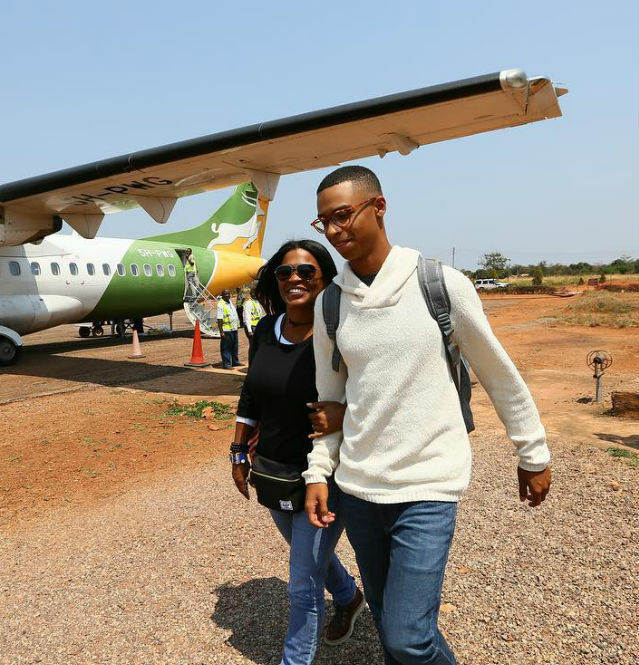 Nia Long took her 16-year old son Massai Zhivago Dorsey II on a humanitarian trip to Africa. Look how much taller he is than she is! 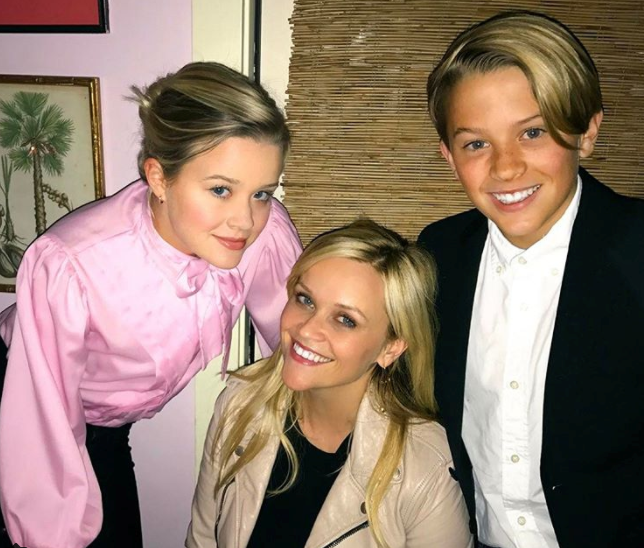 Reese Witherspoon’s kids with Ryan Phillipe , Ava are 14 and 17 -year old, respectively. 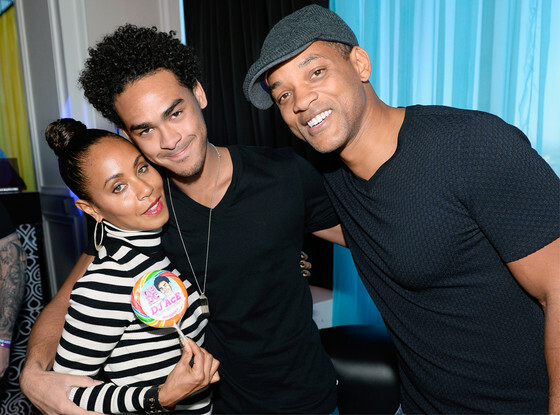 Jada Pinkett Smith and Will Smith’s son Trey (with Will’s ex Sheree Zampani) is 24! 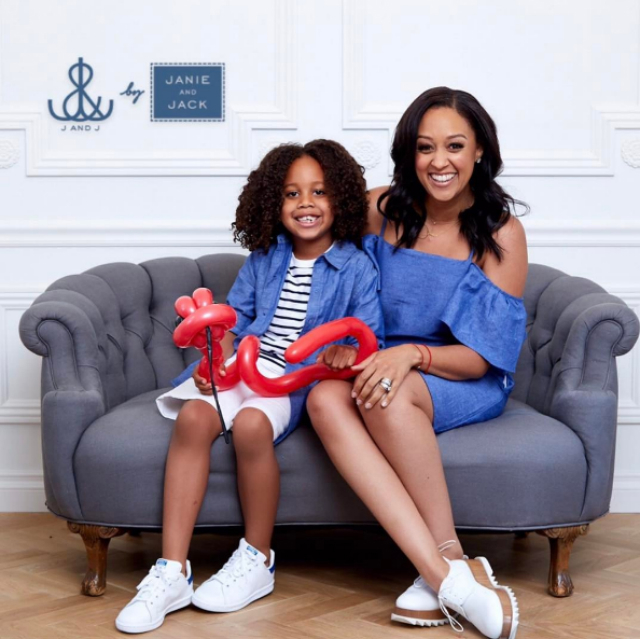 Down to the younger ones who have grown up is Tia Mowry whose son Cree is now 6. 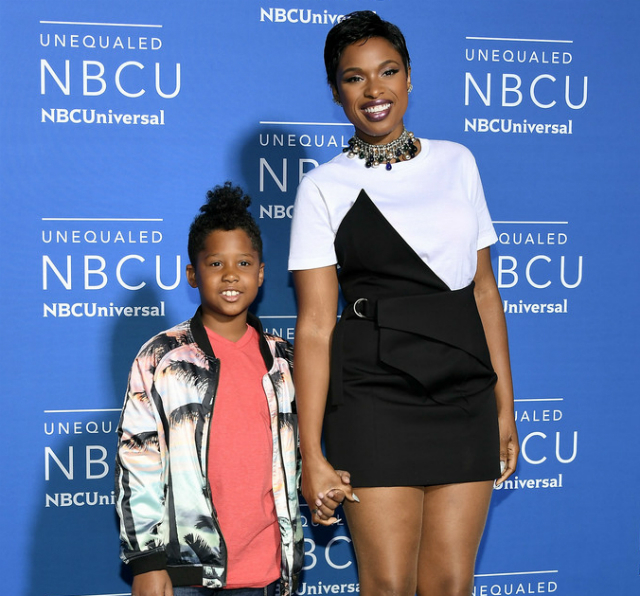 Finally, Jennifer Hudson’s son David Otunga, Jr. is almost 8-years old. His birthday is today! Happy Birthday, David Jr! Oprah Winfrey recently spilled the beans on how far along in pregnancy her A Wrinkle In Time co-star Mindy Kaling is. 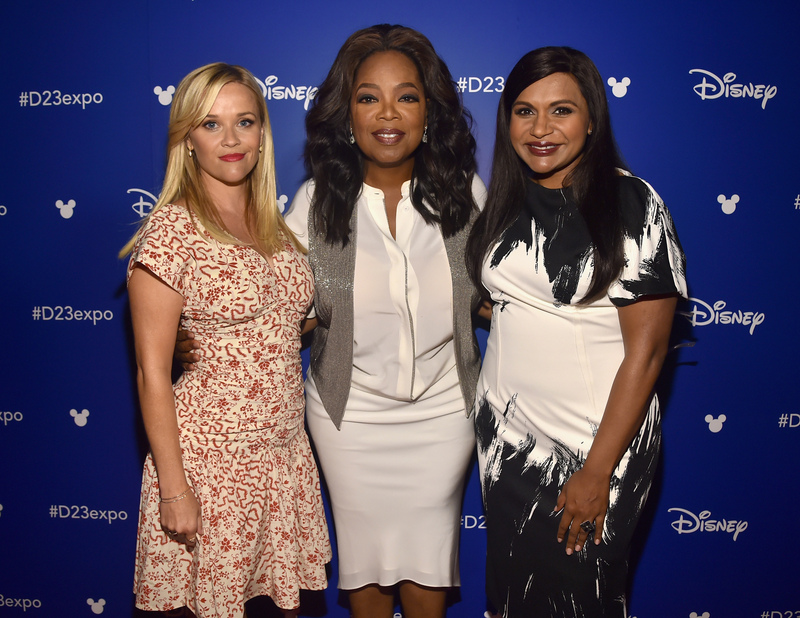 During a recent press tour to promote the project which also stars our Bellyitch Bumpwatch alum Reese Witherspoon, Winfrey shared with PEOPLE magazine that she learned of the baby news casually in the press line at Disney’s D23 expo last month. Winfrey then revealed that her co stars and the other members of the Wrinkle team learned of the news that moment too. 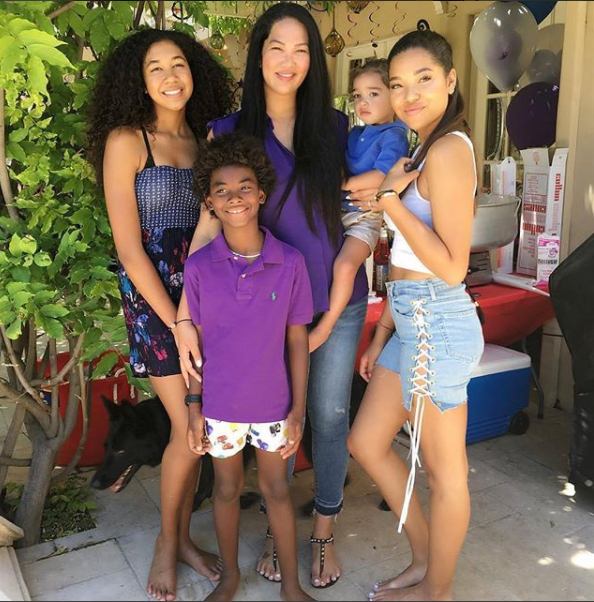 Kaling has not shared with anyone, even her closest friends, who the dad is, multiple reports state. She was seen for the first time since the news broke at the Television Critics Association panel for her show, The Mindy Project, at the Beverly Hilton last Thursday. Thanks for the tea, O! Floral dresses were on and popping at the Summer/Spring 2017 fashion shows. Since then, we’ve seen a lot of designers and brand put out variations of florals for their customers. 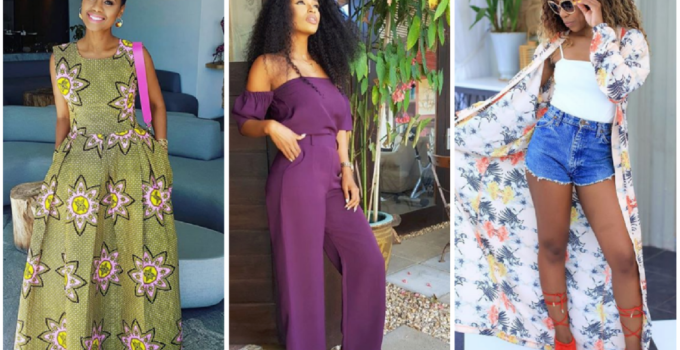 The best thing about floral print is that it can be dressed up with a pair of strappy sandals or heels or dressed down with denim jeans or capris. You can wear the print while out and about errand wearing or to brunch. There are no limits. A lot of moms-to-be and new moms may think that prints are a no-no because they draw attention, but they really shouldn’t fear floral print. They usually come in very feminine variety and are often on a very light, soft and sophisticated fabric making floral print a no brainer. I, personally, used to stay away from floral prints but when I found myself unable to escape them in the stores, I took the plunge and purchased one top and then floral pants and now I’m hooked. I usually NEVER buy floral but this top looked good on me and has a great shape so I think I’ll try it again one day. If you’re interested in getting your hands on one of the dresses our celeb muses wore this weekend, take a look at the widget below to be taken to the merchant site that offers it. This week, she and her castmates including Nicole Kidman and Zoe Kravitz attended the 2017 Winter Television Critics Association Press Tour at the Langham Hotel on January 14, 2017 in Pasadena, California. During the HBO portion of the presentation to press, on stage, Witherspoon looked super cute in an outfit that I think it inspired by Kate Middleton. It included a dress called “Middleton” from Witherspoon’s dress shop, “Draper James” and a pair of Christian Louboutins from its “So Kate” line (named for Kate Moss actually). Witherspoon topped off the look with dainty midi rings by Jennifer Meyer. Tres chic and sophisticated! 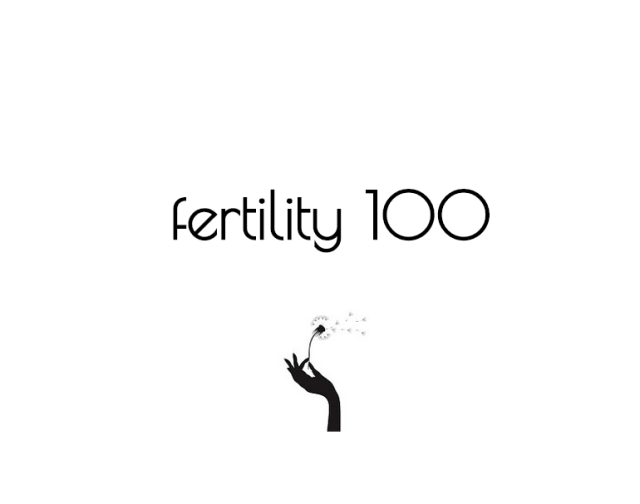 Check out the entire list and the great write ups on each woman on the list at Working Mother HERE!